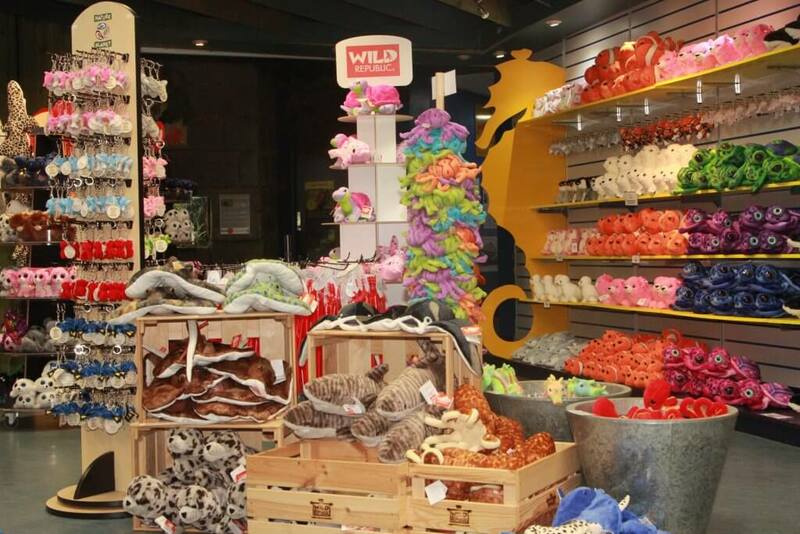 Find lots of hidden treasures in our gift shop! 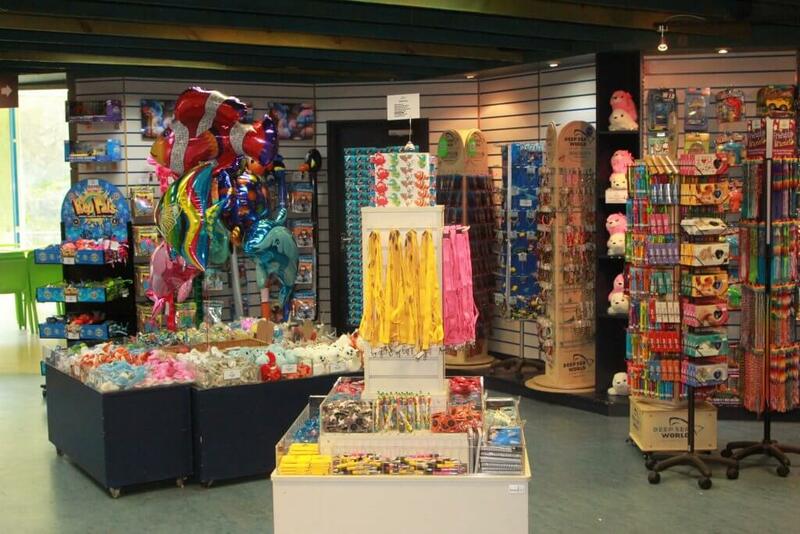 Dive into our gift shop on your visit and find the perfect gift for someone special or something to help you remember us -although we don’t think you’ll forget us in a hurry! There’s plenty to chose from, whether you’re looking for a jewellery fit for a mermaid, stocking fillers or maybe a plush ray to snuggle up with, our shop is bursting with great inspiration for gifts! We all know the importance of cleaning our oceans, taking an active effort in reducing the amount of single-use plastic that we consume and making ethical changes too. At Deep Sea World we are taking steps to improve our operations, to reduce the amount of single-use plastic that we use in our café and shop, as well as throughout the aquarium. Our aim is not only to reduce and improve our own waste, but also to educate and encourage our visitors to make changes too. You’ll find a number of informative displays about ‘Nurdles’ and the effects of plastic pollution on our oceans throughout your visit to Deep Sea World. Our re-usable travel mugs are perfect for your morning coffee on the way to work, and are a stylish and sustainable replacement for disposable takeaway cups. If you make the swap to our re-usable cup, then based on one takeaway coffee every day before work, that would save 260 disposable cups being used that could end up in our oceans! We’ve swapped the plastic for paper at our pick’n’mix station – plastic was so 2008 – and our bags for life will see your latest Deep Sea purchases home safe, and be great for your groceries time after time! You might even notice that some of the tags and labels on some of our products are produced on recycled paper and attached with plastic alternatives. If you want to make an even bigger difference then why not opt for our “save the orangutan” range from Nature Planet, with a portion of the sale being spent towards to protecting these beautiful creatures. Did you know that Orangutans share almost 97% of our DNA?! We’re pleased to stock great ranges from Wild Republic, TY, Aspro and Top Trumps just to name a few. If you’re on a pocket money budget or looking to splurge, we have options for all! Would a day out be complete without the obligatory purchase of a Deep Sea World pen? Not only can our members visit us as many times as they like, and get 10% off our freshly prepared meals in The Bridge Cafe, but you can also save 10% on your shop purchases!